Not THE Gray Ghost, but close enough. In most ways, I was a typical kid of the 1960s – playing ball, teaming up with my buddies to prank cranky people in the neighborhood, and mowing lawns in the summer and shoveling snow in the winter to pay for comic books and the newest Beatles record. But I was also fascinated by politics and by American history. When I was a kid there were three television networks – CBS, NBC and ABC – and, every four years, they would broadcast the Democratic and Republican presidential nominating conventions from gavel-to-gavel and I watched every minute of it. My parents, I think, believed I was a little touched in the head, but they were all in favor of me learning things. I think they thought I was going to grow up to be a Methodist minister or a politician. But this political journalism thing may have never gotten off the ground were it not for my good friend at Ohio University (and my good friend to this day), John Kiesewetter. Yes, that John Kiesewetter. The one you used to read in the pages of the Enquirer and now read at wvxu.org, doing what he does better than anyone I know – writing about TV, movies, entertainment and the like. The boy knows his stuff. And, in those days, when we were impoverished college kids, he had something I didn't – a car. And it was that car – a 1964 Chevy Impala I called "The Gray Ghost" – that made it possible for me to go to Columbus to use the Ohio Statehouse as my political journalism laboratory. Kiesewetter, a Middletown boy, and I became friends in the mid-70s working at the The Post, the five-day-a-week campus newspaper. It was something of a golden age at The Post when we were constantly comforting the afflicted and afflicting the comfortable – especially those in the University administration. It was our home away from home; it was Animal House on steroids. We were at The Post more than we were any place else – more than in our dilapidated student housing, and, yes, more than in the classroom. Howard Wilkinson stands outside of The Post offices circa 1975. I lived with three guys – David, Joe and Barry – in an old house on Oak Street; we had been friends since our freshman year at Washington Hall on the East Green. My housemates called me The Night Stalker, after a TV show starring Darren McGavin, because they would hear me coming in in the wee hours of the morning, collapsing into bed and then leaving again before dawn. They rarely got a glimpse of me. I was always at the newspaper. 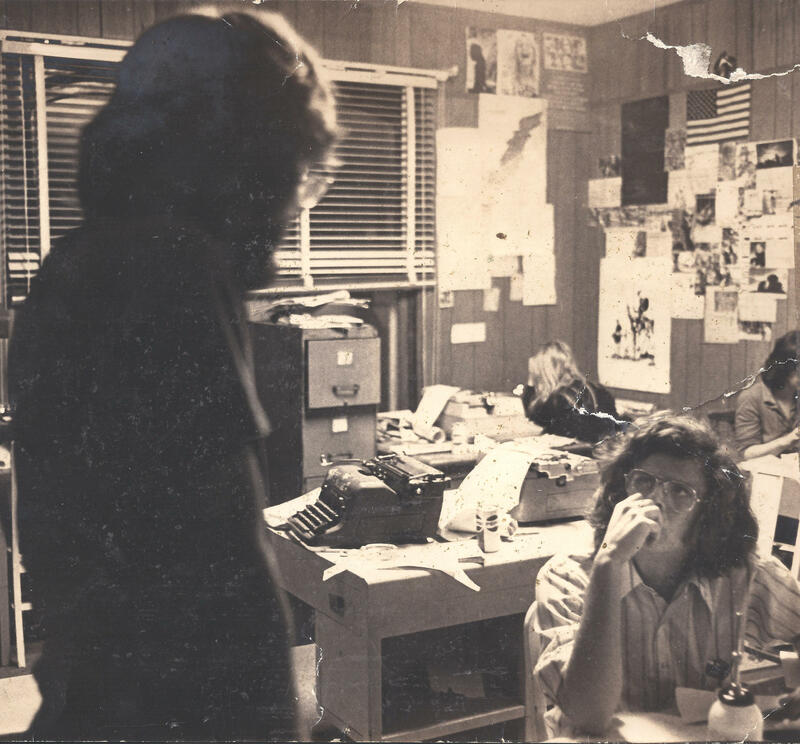 Early into the 1974-75 school year – our senior year – there was something of a revolution on the staff, when a sizeable portion of the staff wanted the editor gone. Revolutions could break out at the drop of a hat in those days. There were many late night-early morning meetings in the managing editor's apartment where sobriety was not required for attendance. The original editor did not have a lot of support of the staff, but he dug in his heels and refused to leave. Both sides looked to me to negotiate a peaceful ending to this chaos, which was severely affecting our ability to put out a newspaper. I had many a talk with the editor – and his number two, the associate editor – and they finally agreed to leave, realizing that they were in an impossible position. Kiesewetter ended up being appointed the new editor, and he asked me to be associate editor; a job that didn't thrill me, but I wanted to help my pal. The associate editor was responsible for the editorial page, but I made it clear that I wanted to keep writing politics and my feature articles. Wilkinson and John Kiesewetter in the The Post's newsroom. What I really wanted to do was spend time in the Ohio Statehouse, getting to know the legislative leadership, getting to know the system, and writing stories relevant to Ohio University. And watch the Statehouse press corps very carefully. How they went about their business, how they dealt with legislators, how they scored their scoops. I wanted to use it as my journalism laboratory. There were a lot of issues going on at the Statehouse in 1974-75 – the biggest of which was whether administration and legislature would bail out the university, which, thanks to Gov. 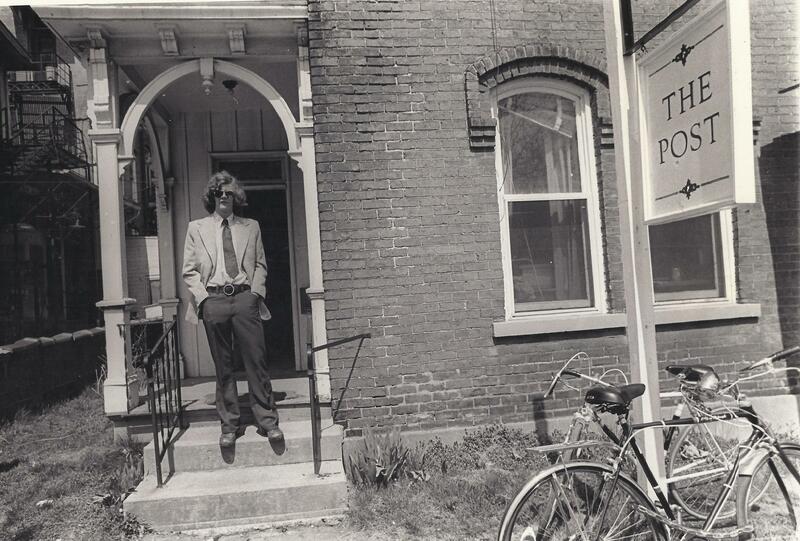 Jim Rhodes in the 1960s, went on a bonding indebtedness binge, throwing up new buildings and hoping for an explosion in enrollment at Harvard on the Hocking to pay for it. The explosion never happened. In fact, the student enrollment was at its lowest level in decades. A lot of people blamed that on the counter-culture in Athens and the street rioting over the Vietnam War that broke out on occasion; parents, it was said, didn't want to send their kids to such a place. I think my parents were just amazed that there was a college that would take me. These days, Ohio University is a place with some rigorous academic standards for admission. When I showed up in Athens in the early 1970s, the only requirement was that you could fog a mirror. I made the cut and launched my lifetime in journalism at The Post. 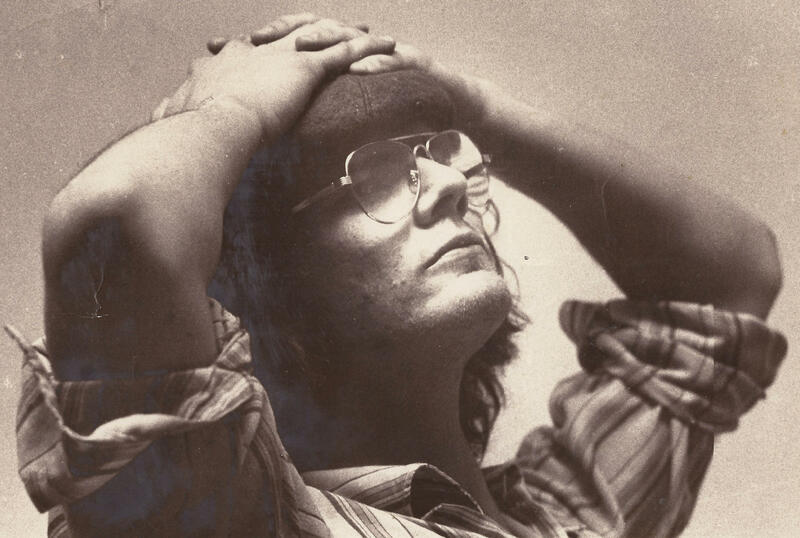 A young Wilkinson circa 1975. I remember one day I was in the newsroom talking to Kiesewetter about expanding our coverage of Ohio politics and Statehouse news. As of January 1975, Jim Rhodes was back in the governor's office, and my favorite sport in my editorial page column was making fun of him as a political hack and insufferable blowhard who couldn't organize a two-car funeral. Kiese, if we're going to do this, I need wheels, I said. It's 75 miles from the corner of Court and Union in downtown Athens to the corner of Broad and High in downtown Columbus. This is not a problem, Kiesewetter said. Just use my car. It looks like crap, but it runs. Kiese's car was a 1964 Chevy Impala that, in its original state, had a kind of bluish-green color, but by the time he was a senior at OU, it was creeping up on 100,000 miles and was covered in some kind of gray gunk that was the result of it never having been washed. And so we were off to the races. Kiese would leave it in the alleyway next to Pilcher House, the home of The Post. The keys were in his desk. I'd pull out before dawn on most days, so I could get up to the Statehouse press room in time to get a handle on what was happening there that day. One stop as the Gray Ghost roared up U.S. Route 33 toward Columbus: Doughnuts and coffee at a bakery in Lancaster. Always. And I checked to see if the governor had anything on his schedule so I could go listen to him bloviate and pester him about bailing Ohio University from the bonded indebtedness he had slapped on the school in his building spree of the 1960s. I had a friend from high school who was going to Ohio State, and I would crash on a couch at his apartment just off campus. That way, I could stay two or three days, churning out stories that I would phone in to the office in Athens. And, of course, I was missing quite a few classes in the process. For those of you who are still in school, I do not recommend this course of action – although it worked for me. I found out early on that the only way to learn to be a reporter was by being a reporter; and the only way to learn to write was by writing. I remember one time, after a two or three day stay in Columbus, I showed up at my Journalism History class after a rather long absence. As soon as I walked in, I could see that the professor, the late Norman Dohn, was not pleased. I had no sooner settled in my seat when Norman weighed in. Well, I see Mr. Wilkinson has deigned to join us today, he said. And where exactly have you been? I was tired and not in a mood to take any guff from Norman Dohn that morning. Read the front page of The Post today. That's where I've been. It looked like a wreck but that old car ran like the wind; it never once failed me on all those trips to Columbus. And that’s where I learned how to cover politics. From a lot of veteran reporters who knew what they were doing and didn’t mind having some long-haired kid from Athens tagging along. At the end of the school year, Kiesewetter went off to work at the Enquirer; I hung around in Athens for a few months looking for a job and working on The Summer Post, which came out once a week. Before he left, Kiese and I made a deal – that I would buy the Gray Ghost for $150. I gave him $100 and promised the rest as soon as I had it. Deal. One summer night in Athens, as the odometer was just under six figures, we piled eight or so Posties (the universal term for those who worked at The Post at OU) into the Gray Ghost and hit the streets of Athens. I drove around downtown and pulled into the driveway next to The Post just as the odometer turned 100,000. There was much celebrating as we piled out of the car. And then we all went over to the Frontier Room at Baker Center and had a huge party. Later that summer, I got a job for a while in Sandusky. I ended up selling the Gray Ghost to a fellow in Milan, Ohio, for a pittance. By that time, it was on its last legs. But it died a hero – I heard later that he had run it in a demolition derby at the Huron County Fairgrounds and it expired, by then a twisted, smoking hunk of steel. And, thus, ends the story of the Gray Ghost. Except for the $50 I’ve owed Kiesewetter since 1975.